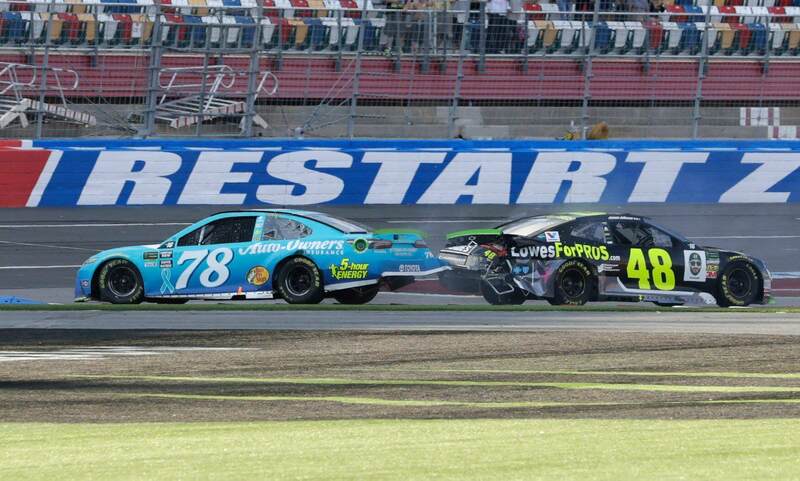 On NASCAR’s newest track, Jimmie Johnson and Martin Truex Jr were in a battle for the win. Until they were not. Johnson wheel hopped under braking into the final corner and the car jumped sideways. He slid backwards across the final corner and took both he and Truex out of contention for the win, just a few hundred feet short of the final. After that race, Jimmie Johnson was advised by the crew chief of the #78, Cole Pearn to buy the crew mountain bikes to make up for the contact on The Roval at Charlotte Motor Speedway. Johnson took notes and came back with a surprise. The following week, Johnson entered the closed garage area at Dover International Speedway with a plan. The #48 driver unloaded his Tahoe in the middle of the night and placed twelve tiny kids bicycles on the tongue of the #78 hauler. It’s great! Personality is exactly what NASCAR needs. And you don’t see a whole lot of this kind of thing in the Monster Energy NASCAR Cup Series division. But, as much as we all liked that prank, things still need to be cleared. Johnson could have climbed the gate and entered the closed garage area. But, this is also a very serious business. That kind of thing could have placed NASCAR is an uncomfortable position. For example, there’s a rule against doing that very thing, entering a closed garage. Buster Auton is the Senior Director of Transportation for NASCAR. 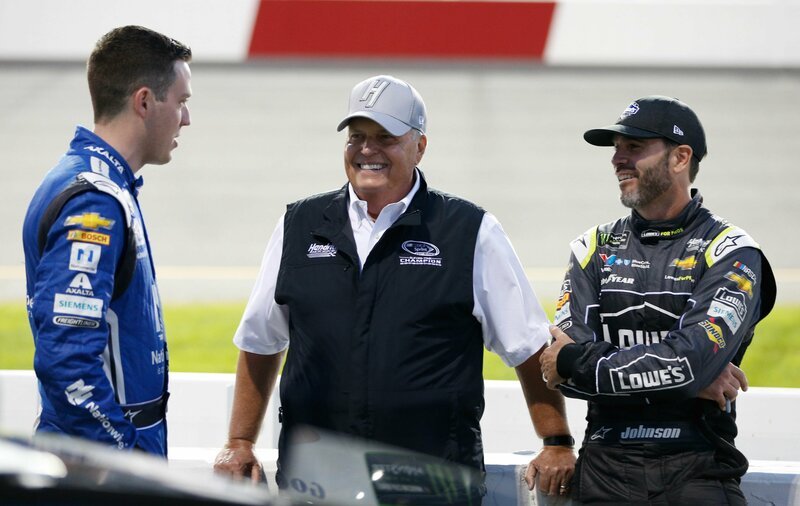 Is Jimmie Johnson a pratical joker? There’s been many on track incidents in NASCAR that have spiraled out of control. When Matt Kenseth took out Joey Logano, he noted that a big part of that paypack was in part to the way Logano handed the first incident at Kansas Speedway. By that, I mean that Logano never gave Kenseth a call after the wreck. Logano later said that decision not to call probably came at the cost of him losing the championship that year. Have you spoken to Martin since the Roval? Just as Jimmie was starting to explain that he bumped into Truex as the airport in Dover, he bumped into him again. Truex came walking up to the drivers meeting at the same time Jimmie Johnson was engaged in the interview outside of the meeting place. They met with a smile on the situation. Martin Truex Jr finished 15th at Dover International Speedway on Sunday. He remains in a prime playoff position. Johnson suffered mechanical issues via a broken balljoint. That sent him to the garage for repairs. Johnson re-entered the race some 10-laps down to the leader. The problems continued as he was hit with a pit road infraction. Johnson finished 36th.